ClickCheck is a leading live chat service provider in the market offering multi-channel support software for business owners. It is an awesome combo of super-fast text chat service along with audio, video calling features to engage visitors and convert them into happy customers. The software is used by more than 180,000 websites across the globe. Live Chat - Live chat has an incredible amount of potential for increasing customer satisfaction, encouraging sales and maximizing time efficiency for support agents. Intuitive web chat panel lets focus on live support. Video Chat – A way to increase customer retention, is to have voice and video chat options for customer support. It really is that simple. In numerous surveys, only 10% of online shoppers remember text, while 95% remember video chat. Helpdesk software - ClickDesk's complete help desk software comes automatically integrated with live chat tool to keep user on top of issues and questions from the visitors. Social media integration – Users can add like, tweet and follow buttons to widget with social media toolbar. 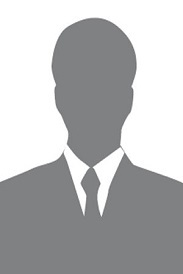 This allow visitors to connect with brand on multiple social networking platforms without leaving website. Mobile app for Mobile support - Put the power of ClickDesk in hands with a streamlined Android app that can be used on the go. Users can install the mobile live chat app today and start taking chats and managing helpdesk tickets from smartphone or tablet. Reporting and analytics - ClickDesk's advanced reports, analytics and metrics are here to help users make better business decisions. ClickDesk was started in 2012 and since inception it has been the preferred chat service for many online businesses across the world. It has helped businesses increase their conversions by more than 30%. Chat with your visitors real-time and increase conversions. Live chat has an incredible amount of potential for increasing customer satisfaction, encouraging sales and maximizing time efficiency for support agents. Intuitive web chat panel lets you focus on live support. Live voice and video chat directly in the browser What's the one thing that big businesses do to increase sales and retention, but most small businesses don't even think about? The most successful businesses in the world include voice and video chat options for customer support. It really is that simple. In numerous surveys, only 10% of online shoppers remember text, while 95% remember video chat. Helpdesk built with love for online businesses ClickDesk's complete help desk software comes automatically integrated with our live chat tool to keep you on top of issues and questions from your visitors. ClickDesk's complete help desk software comes automatically integrated with our live chat tool to keep you on top of issues and questions from your visitors. Increase social media traffic. Bring Twitter and Facebook into our live chat app. Add like, tweet and follow buttons to your widget with our social media toolbar. Allows your visitors to connect with your brand on multiple social networking platforms without leaving your website. 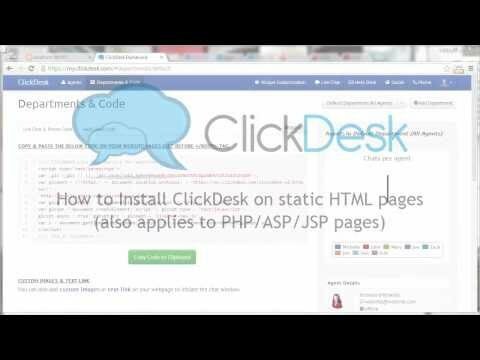 How to install ClickDesk on your website? I like that the integrated chat is bundled with the help desk. Other companies up charge for this service and it can get a little pricey. In some case the connection isn't very quick. It tend to lose connection sometimes when engaging in a conversation. A couple of inaccurate statuses that were revealed to consumers while I was offline. Other than of that, there is absolutely nothing I can keep in mind.